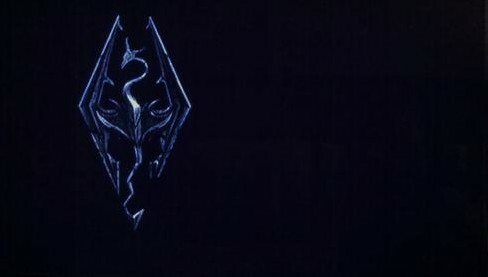 Skyrim is a vast world with many wonderful things. So many wonderful things in fact that our characters can’t help but pick them up and hold onto them. As your characters accumulate these things, their weight increases making it harder to move if max weight is exceeded. Besides increasing your character’s stamina rating, there are a few things you can do to help minimize the weight issue while still holding on to those precious items. Updates: We’ve received numerous requests for additional ways to increase carry weight so we’ve added a few others which include items and potions. 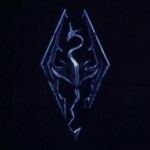 There are a number of chests across Skyrim and those chests can store your items. The trick with storing items in chests is that you should find one that uses a key or that is out of place, hidden if you will. Keyed chests are the best option since they won’t be looted, however it may be more convenient to use a chest which is located in an area you frequent often. The downside of chests is that you’ll need to keep going back to them to retrieve or swap out items. This is the simplest one of all. There are some items which, when used, don’t return. Obviously, using potions or scrolls will remove them from your inventory so use them in battle when possible. Another item is food. When I had to clear some weight from my inventory I realized I was carrying 12 pounds of food. 12 pounds! I ate it all in one shot, saved myself 12 pounds and never gave up a thing. So far, food has never been an issue in terms of health for the character or overall maintenance of stamina. Sure food can have effects, but otherwise there’s no use in carrying it around. Eat it or store it. There are several opportunities in the game, at least 3 early on, that allow you to take on a companion on your travels. Those companions can and will carry items you give them. If the item is of some value, they will even use it which is great for assisting in battle. They do have limits, so distribute the loot wisely. This is another storage option, but one that will require some extra coin as a house can cost $5000. Once owned you can drop and store whatever you like in there. While probably the best option, it is also the priciest and has the same downside as using a chest. If you’re into pickpocketing, you can increase your carry capacity to 100 by learning ‘Extra Pockets’ after you reach level 50 on pickpocketing. As a temporary fix, you can enchant certain armor with ‘Fortify Carry Weight’ on armor slots gloves, boots, amulets and rings. Temporary only in the fact that you’ll likely want to replace that item with something more useful down the road. Something to consider while roaming and bouncing from quest to quest is a second, partial set of armor. We’re not talking about a complete set, but rather lightweight items that can increase your stamina, thus increasing your carry weight. There are several easy to obtain items that have a bonus to carry capacity attached to them. 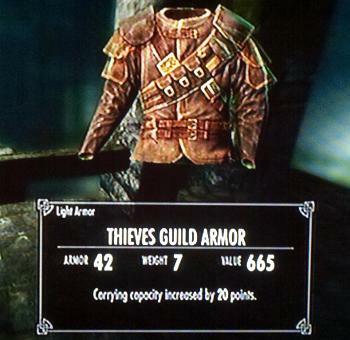 If you haven’t already done so, join the Thieves Guild and in return they supply you with a full set of armor. Each have different affects tied to them, but the body armor in particular has a +20 rating to carry capacity. Twenty points can be the difference between leaving an enchanted warhammer behind or carrying home for storage. While there are other items that provide carry capacity, the thieves guild armor is something that can be retrieved early in the game with little difficulty. To start your thieves guild quest, head to Riften. Look for Riften on the southeast part of the map. Bonus Tip: The Thieves Guild Armor can be upgraded later on in a Thieves Guild side quest. Find Tonilia in Riften or The Ragged Flagon to start your side quest. The armor increases from 20 to 35 extra carry weight capacity. Another temporary solution is to brush up on Alchemy. Through potion making, characters can create potions to increase carry capacity. 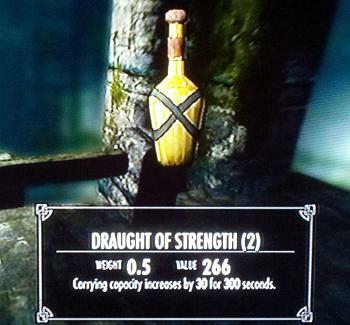 For instance, a ‘Draught of Strength’ increases carry capacity by 30 for 300 seconds. For all you mathematically challenged, that equals 5 minutes of +30 carry weight. Five minutes doesn’t sound like much, but it should provide enough time to reach a horse or storage location. How do you store your extra gear and items? Do you have another suggestion for our readers? Let us know in the comments! Just get the steed stone, its by the Thalmor embassy sort of, but to the left a ways. @scdoo – Great tip! Thanks for the info. If I ever find myself with to much loot I just transform into a werewolf, eating animals to stay in that form, run to my nearest safehouse, stay hidden from the towns folk, wait for 1 hour then slow walk to my chest. @Andrew – Indeed. Nice nooks and crannies like that are great for storing items if you don’t own a house. Another great spot, is the Underforge once you complete the Companions quest. I just drop stuff behind the smelter in white run. There is a pile of junk there from me it’s always there when I go back. @Ken – Thanks for the comments and ideas! This is a good place to use the restoration potion exploit/glitch. You know therefore significantly with regards to this topic, made me for my part imagine it from numerous numerous angles. Its like men and women don’t seem to be fascinated until it is one thing to do with Girl gaga! Your own stuffs outstanding. Always maintain it up! @Stu – No doubt, enchanting is a great way to boost carry weight and other effects. Thanks for commenting! Great tips, thanks! The other obvious option it “Enchant it”. Enchant a ring or necklace with carry weight and give yourself a boost. Anything stored in your house is safe, whether in chests or not. The chests ‘out in the world’ (unowned containers) are more or less safe, but remembering their location could be troublesome if that’s the only way you store items. Unowned containers can be robbed. Just a question… You mentioned that leaving items in a chest is a risky choice… why? does the game have NPCs rob you? Even items left in my home, in a chest there too can be stolen? @AndrewM – Quality tip, thanks for the info and for contributing! If you have high Conjuration get the Dead Thrall spell. Fight and kill someone tough with abilities that complement your style. Load the dead body with whatever you want (no weight limit). Animate the body with Dead Thrall. You now have a tough companion fighting for you while carrying tons of your stuff. The added bonus is that if they get killed in a fight you just reanimate them and you’re good to go. To get your stuff or add more just conjure an Atronach or something and they drop to the ground dead. Search the body as usual. Reanimate them with Dead Thrall. Just don’t lose them somewhere you can’t retrieve them from (mine got stuck in a blade trap glitch once). The only real drawback is you can’t tell them to wait anywhere. They follow until one of you drops dead. Now that’s loyalty for you. You can also hop on your horse while over-encumbered and you’re allowed to fast travel. There is also a stone called “The Steed Stone” nw of Solitude that will increase carrying weight by 100 and make you have no movement penalty from armor.